Popular comedian Venumadhav suffered an attack of fits while shooting for an episode of the popular ETv reality show Genes.He was immediately rushed to the Omni Hospital in Kothapeta. He has recovered and there is no danger. 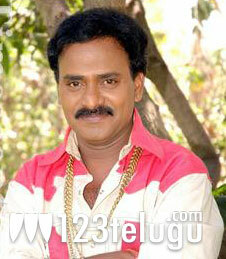 Venu Madhav earlier suffered a similar attack of fits on the sets of Ram Charan Tej’s ‘Raccha’. Friends and well wishers from the industry have expressed concern over Venu Madhav’s health and we sure hope everything is ok with this talented comedian. Let us hope that Venumadhav recovers completely and regains full health.